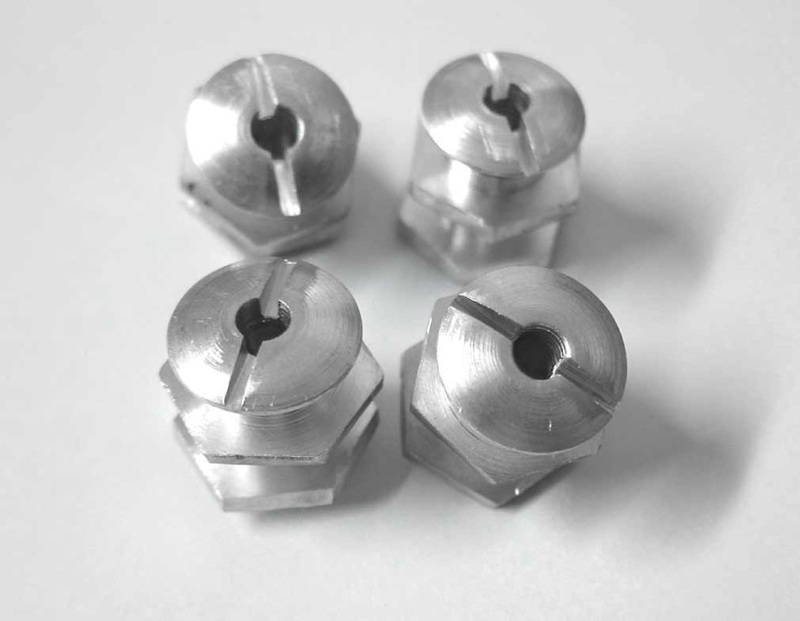 A set of four aluminium vented & slotted bolts and nuts for your German Fallschirmjäger helmet. Highly engineered mid to late war M38 Aluminium Paratrooper helmet nuts and bolts. Set of 4 nuts, 4 single rim bolts and 4 double rim bolts. Used to secure the liner to the helmet and the chinstrap to the liner.